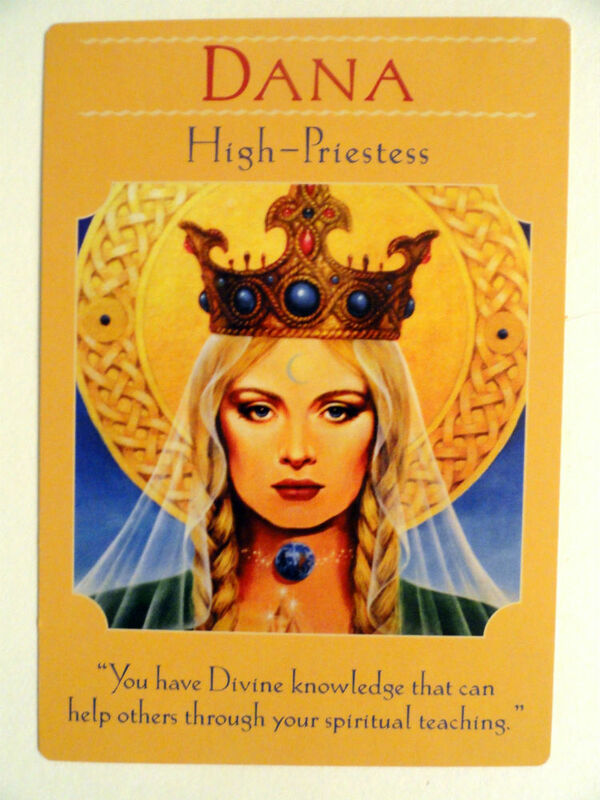 This week’s reading I was guided to use the the Goddesses Guidance Oracle Cards by Doreen Virtue. The Hindu goddess of the arts, Sarasvati helps us with all creative expressions, such as music, writing, dancing, and eloquent speaking. The wife of Brahma, Sarasvati prizes knowledge and creative expression above material possessions. Her symbols include a white swan, the vina musical instrument, and a book of knowledge. She helps us focus our minds on our creative projects, and not get distracted or procrastinate. Sarasvati is reminding us that we are unlimited! If you have been too focused on the material world such as finances and time she can guide us to expand our sense of what is possible. By participating in creative activities we get back in touch with the flow of life and our infinite ideas. Sarasvati says to spend time with music, dance, singing and allow it to relax you as you go about creating things you desire. 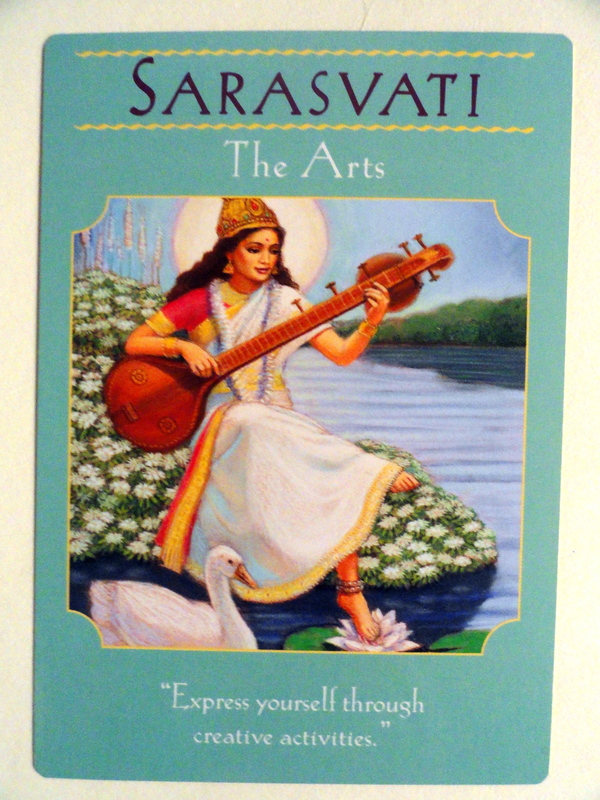 Sarasvati reminds us that by expressing ourselves through sound we can tap into our in limitless self. Maat is the Egyptian goddess of integrity, fairness, and justice, who holds a scale that measures souls against a feather at the time of death to detect any heaviness from guilt. Maat protects us in business and personal relationships, ensuring that we’re treated fairly and honorably. Call upon her before signing a contract, during a dispute, or whenever you feel guilty or remorseful. 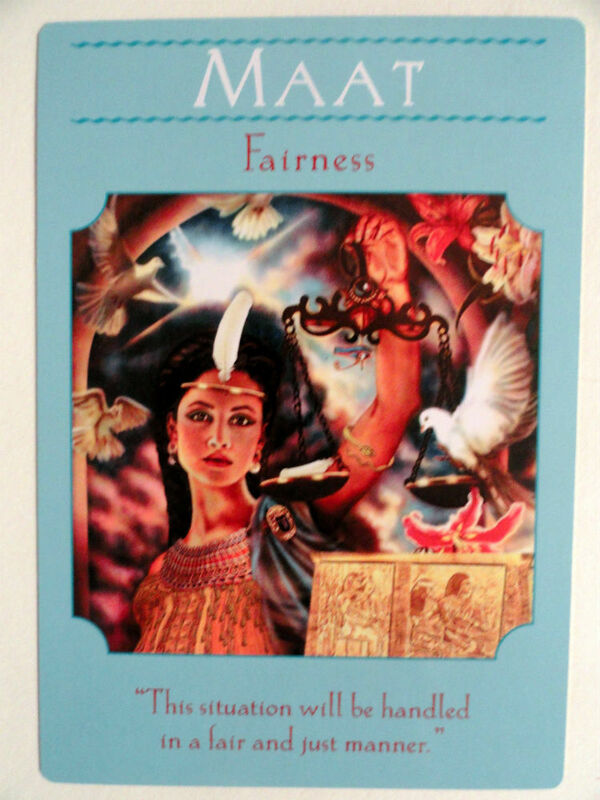 A stressful situation will come to a conclusion of fairness and peace. Instead of holding a position of right or wrong, look to the highest integrity where everyone can win. This may be regarding a dispute, disagreement or a legal matter. Know that Maat is assisting and supporting you so that the outcome will be make an empowering difference for everyone. Dana is one of the most ancient Celtic goddesses, extending to the pre-Gaelic times of Ireland when the Tiatha De Dananns (which means “the children of God”) followed her as their Creator Mother Goddess. When the Gaelics invaded Ireland, the Tuath De Dananns transformed themselves into leprachauns, as they remain today. Dana, also known as Dannu or Danu, is extremely powerful and magical. She can help you with manifestation, alchemy, and Divine magic. She can also introduce you to the elemental kingdom, especially the leprachauns! Her message is that YOU have tremendous wisdom from many lifetimes ago and are here today to share it as perhaps a spiritual teacher or lightworker. Many people can benefit from this knowledge so do not hesitate any longer. Dana will assist you in your writing and speaking, teaching. You may be writing articles, books and leading workshops. This may be for a small group or large, the size of group does not matter. All forms of teaching are equally valuable no matter how many lives you touch. Look for opportunities to teach. Be a role model of peace. Honor your Divinity. Know that you are a leader. In summary allow yourself to participate in creative activities to tap back into the flow of life and connect to your limitless being! Spend some time relaxing and having fun with music or dance to allow ideas to flow more easily. Be open for an empowering outcome of a stressful situation that allows for peace for all concerned. Step into your power and trust the inner wisdom you have available to share with others. Go for it! Step into your power, now is the time! Next Weekly Angel Oracle Card Reading for November 18 through 24.